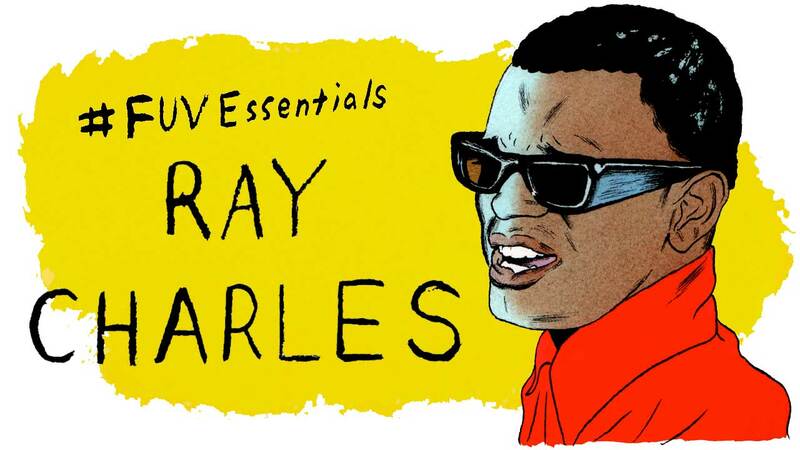 Google "genius" and "Ray Charles" in tandem and you'll not only find mention of the man's influential sixth album, 1959's The Genius of Ray Charles, but endless testaments to an artist routinely praised for his brilliance. Charles was not only a virtuosic musician and song interpreter, but a man who founded a genre, intuitively merging various elements of bebop, gospel, blues, jazz, swing and country. He laid the cornerstone to what became modern soul, R&B and early rock 'n' roll. But what were Charles' own thoughts on so many heady accolades? “Genius?” Charles humbly replied when asked in a 1963 interview with the NME, prior to his first UK tour. “That’s nothing to be ashamed of. But it gives you a sense of responsibility. I’m just an example of the fact that there’s something for everyone to do if they just want to do it. Charles understood the breadth and diversity of American music and, along with other trailblazers, brought African-American cultural identity to the forefront. As an adroit pianist with a tender, lusty baritone (one of his major influences was Nat King Cole), Charles could negotiate the terrain of just about any genre. His roots were in the church, but the execution of his music was brazenly secular—there was grace, rage, warmth, seduction, elegance and holy hellfire elevating his greatest recordings, like Hoagy Carmichael and Stuart Gorell's "Georgia on My Mind," Percy Mayfield's "Hit The Road, Jack" or his own "I Got A Woman," co-written with trumpet player Renald Richard. After Ahmet Ertegun signed Charles to Atlantic Records in 1952, Charles swiftly became one of the label's first superstars with a string of hits that included "This Little Girl Is Mine" and "What'd I Say" (which made a huge impression on a young Paul McCartney and John Lennon). The fact that Ray Charles accomplished so much as an artist without the benefit of sight — he went blind at the age of 7 — was part of his remarkable legacy, but it didn't define him. Born in Albany, Georgia, in 1940, the son of a teenage mother, Aretha Williams, and a laborer father, Bailey Robinson, the young Charles was raised by his mother and his father's wife, Mary Jane Robinson (yes, he had a complicated family). Remarkably, Charles' blindness opened a door; his mother was able to arrange a scholarship so that he could attend a special school, the Florida School for the Deaf and Blind in St. Augustine, where (although the school was segregated), Charles studied classical piano (reading music in Braille), clarinet and trumpet (and learned how to fix radios too). He taught himself alto-saxophone and arranging. But when Charles was only 14, his mother died. At a crossroads, he left school to begin a professional career as a musician. The five years that bridged that decision and the release of his first R&B chart hit with the McSon Trio (mistakenly credited as The Maxin Trio), "Confession Blues," were ones of hardship and poverty, but also unflagging determination and hustle. Charles, who was called "Brother Ray" by his friends, dealt with adversity: racism, the challenges of his disability, and his own battle with substance abuse. He was a voice in the civil rights movement and Martin Luther King, Jr. was his friend. Charles covered protest songs, like Percy Mayfield's "The Danger Zone," and he refused to play for segregated audiences. He mined his pain in some of his greatest vocal performances too: his masterful, stirring rendition of "America The Beautiful" is unfurled as a wistful spiritual, a call to action, and in its triumphant denouement, a hopeful affirmation of freedom, equality, unity and empathy. No matter where his muse took him, shifting effortlessly between country (and recording with Willie Nelson, Chet Atkins and George Jones) or his joyful 1989 cover of the Brothers Johnson's "I'll Be Good To You" with Chaka Khan and Quincy Jones, Charles intuitively understood the essence of a song's heart. He was a cultural pioneer and although he passed away in 2004 at the age of 73, he continues to influence a range of contemporary musicians, like Leon Bridges, Robert Glasper, Norah Jones, Aaron Neville, Alicia Keys and St. Paul and the Broken Bones. As a blind man, Ray Charles had the vision to boldly defy boundaries, disregarding the status quo, and advancing an art form in the process — and we honor him this week on FUV Essentials.